We present a perturbative construction of interacting quantum field theories on smooth globally hyperbolic (curved) space-times. We develop a purely local version of the Stückelberg–Bogoliubov–Epstein–Glaser method of renormalization by using techniques from microlocal analysis. 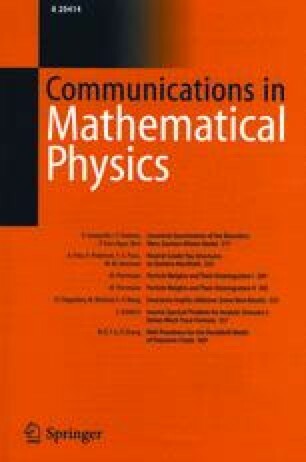 Relying on recent results of Radzikowski, Köhler and the authors about a formulation of a local spectrum condition in terms of wave front sets of correlation functions of quantum fields on curved space-times, we construct time-ordered operator-valued products of Wick polynomials of free fields. They serve as building blocks for a local (perturbative) definition of interacting fields. Renormalization in this framework amounts to extensions of expectation values of time-ordered products to all points of space-time. The extensions are classified according to a microlocal generalization of Steinmann scaling degree corresponding to the degree of divergence in other renormalization schemes. As a result, we prove that the usual perturbative classification of interacting quantum field theories holds also on curved space-times. Finite renormalizations are deferred to a subsequent paper. As byproducts, we describe a perturbative construction of local algebras of observables, present a new definition of Wick polynomials as operator-valued distributions on a natural domain, and we find a general method for the extension of distributions which were defined on the complement of some surface.